There are loads of versions of cream braised Brussels sprouts recipes on the internet, but this is one I learned from a relation in Ireland, Joan. I've had many meals in Joan's home - she is a fantastic home cook. I've been a guest at Joan's on Boxing Day several times which is where I was first treated to this dish. In a large saute pan, melt the butter over medium heat. 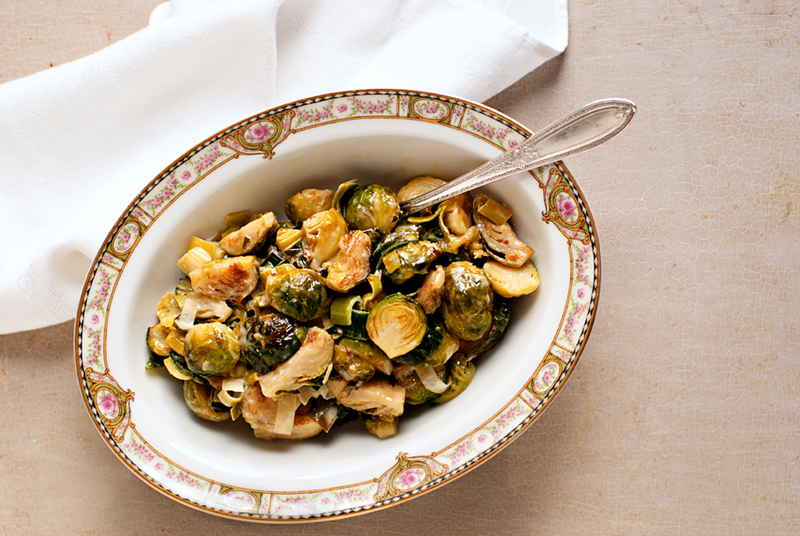 Once butter is melted, add the Brussels sprouts and spread into a single layer, with one cut side down. Add the salt. Cook the sprouts over medium-high heat for 3-4 minutes or until slightly brown. Stir the sprouts and continue cooking until all of the sprouts are slightly browned, 3-4 minutes. Reduce heat to medium, add the chopped leeks, and continue cooking for about 5 minutes. Reduce heat to medium-low and add the cream and stir. Cover the dish and continue to cook on low 15-20 minutes or until the sprouts can be easily pierced with a paring knife. Remove from heat, stir mustard through the sprout & leek mixture and serve. 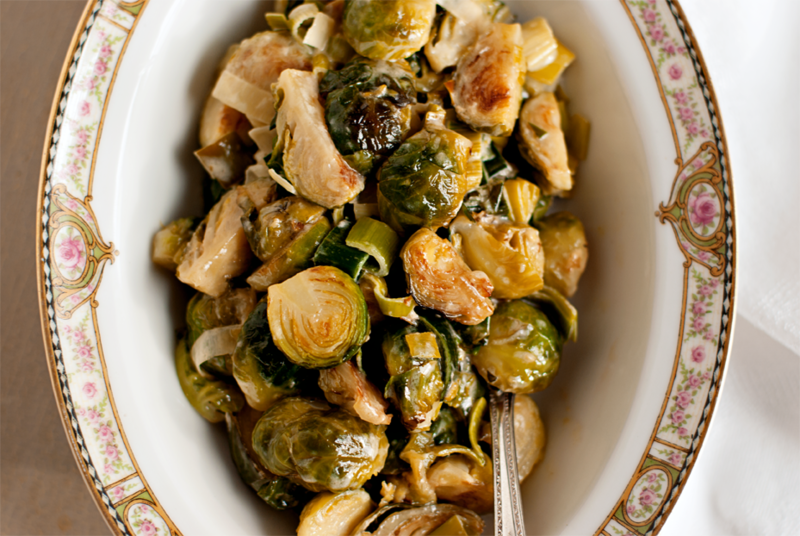 I've converted folks who previously didn't care for Brussels sprouts with this recipe! Me? I love Brussels sprouts just steamed and served with a bit of good butter--but this recipe is a perfect way to dress them up for Christmas. 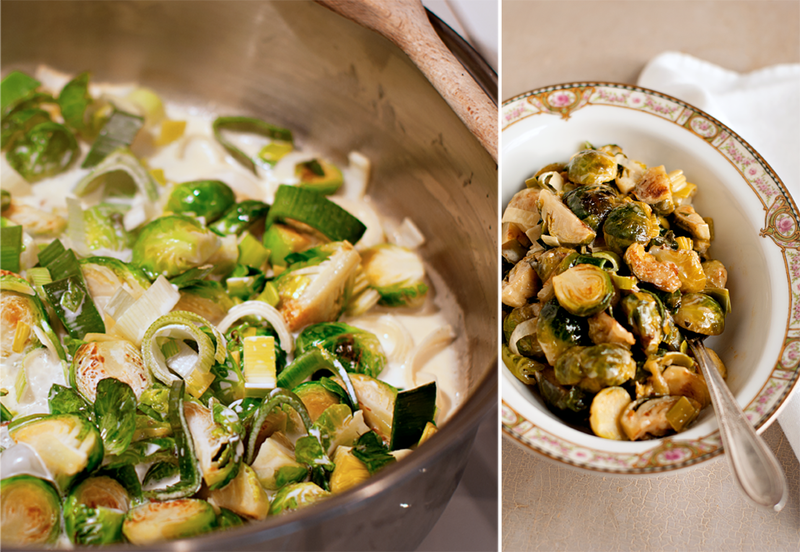 How do you like to prepare your sprouts?